In the year 2126, a Dive Massively Multiplayer Online Role-Playing Game or DMMORPG called Yggdrasil was released. It stands out among all other DMMORPG's due to its unusually high ability for the player to interact with the game. After an intense 12-year run the game servers are about to be shut down. Within the game exists a guild, Ainz Ooal Gown, once consisting of 41 members and credited as one of the strongest guilds in the game. Now only 4 of the members remain, the other 37 having quit the game. 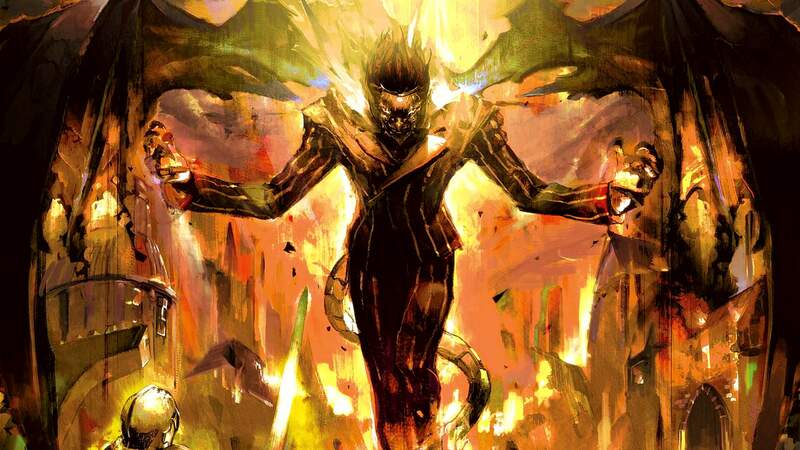 Of those 4 only one, an elder lich character named Momonga continues to play as the guild leader and maintaining their headquarters, The Great Tomb of Nazarick. He invites the remaining guild members but of those only one appears and only for a short while before leaving. While saddened by this, he accepts the reality that his friends have their real lives to take care of and decides to stay logged in until the servers shut down. When the shut-down time arrives, however, Momonga finds that the game hasn't vanished. Instead, it appears as if Yggdrasil has been recreated as its own reality along with its various NPCs having been brought to life while Momonga has been trapped in the form of his game avatar, leaving him unable to use the normal player functions, such as General Message, or even to log out. With no other option, Momonga sets out to learn if anyone from 'the real world' is also in this new world with him. 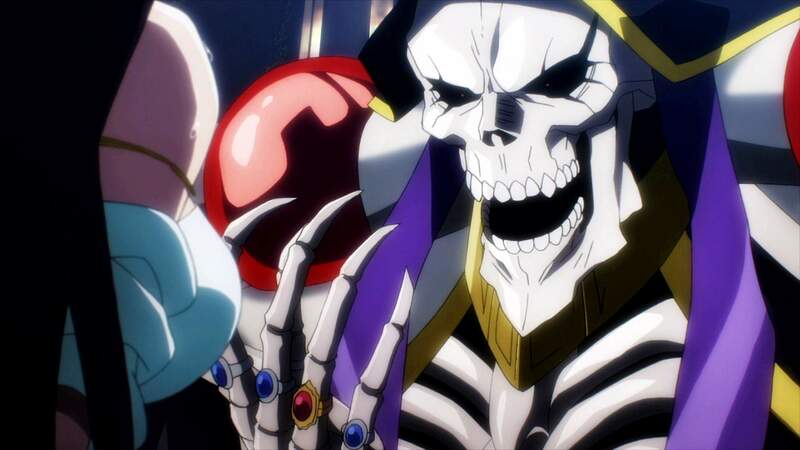 Taking on the name of Ainz Ooal Gown, a message to any other players, Momonga begins exploring the world in an attempt to figure out what has happened while searching for anyone, or anything, that could help him solve this mystery while ensuring the safety of Nazarick. Overlord (オーバーロード Ōbārōdo) is a Japanese light novel series written by Kugane Maruyama and illustrated by so-bin. A manga adaptation by Satoshi Ōshio, with art by Hugin Miyama, began serialization in Kadokawa Shoten’s manga magazine Comp Ace from November 26, 2014. The anime television series adaptation by Madhouse with the first season airing from July 7 to September 29, 2015. When I first started watching the Overlord anime, I was pretty wary. A harem anime with an MMORPG isekai plot? Like that haven’t been done a hundred time already. However, I am glad I was wrong and this anime had incredible writing and characters. These aren’t just some one-note characters where the only thought put into them was their burst size. I would be happier if the harem part was completely removed, but I’ll take the bad with the good. The animation is gorgeous and crisp. Character design is also great as they are distinct and unique. The only exception would be all the battle maids may look the same. Both the opening and closing themes of this season are great. The opening theme being “Clattanoia” by O×T (Masayoshi Oishi × [email protected]) and the ending theme is “L.L.L.” by MYTH&ROID. Both are fast pace rock song with a hint of metal and j-rock. 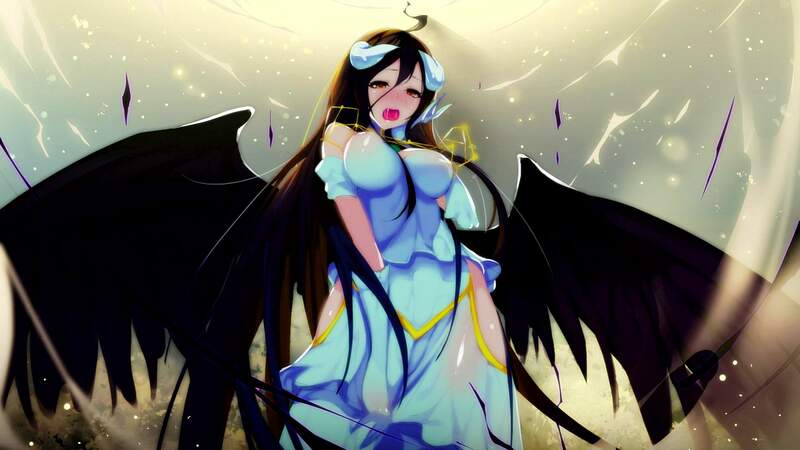 Overlord hits a lot of the trending and over-used tropes like a harem, isekai, and video game theme. Thankfully, these were well thought out. It’s about the detail. For example, the buff spells used during combat shows thought was put into them. The first season wrapped up with one of the best representation of an MMORPG fight scene. I highly recommend Overlord to the more mature audience, as this may not be appropriate for children. This is a dark fantasy comedy, and some of the events make you wonder if our main character has completely lost his humanity. This anime contains graphic violence, suggestive themes/dialogs, and some foul languages. Intended for mature audiences. "I have no friends or family. Just working and coming home to sleep every day, what worth is a life like that?" "It's fine. Everyone makes mistakes. You just need to make an effort not to make the same mistake again." "Death by sword. Death by broken bones. Death by crushing. There's not much difference, right? You die at the end."